Every time I venture to a new convention I am never sure what to expect. Next weekend I am going to attend my very first Mondo Con, and I am already not doing very good. I have failed to secure any event tickets and will either try to find some stand-by tickets or just check out the glorious art prints that will likely be out of my budget. Regardless I am excited to see what this corner of fandom is like. 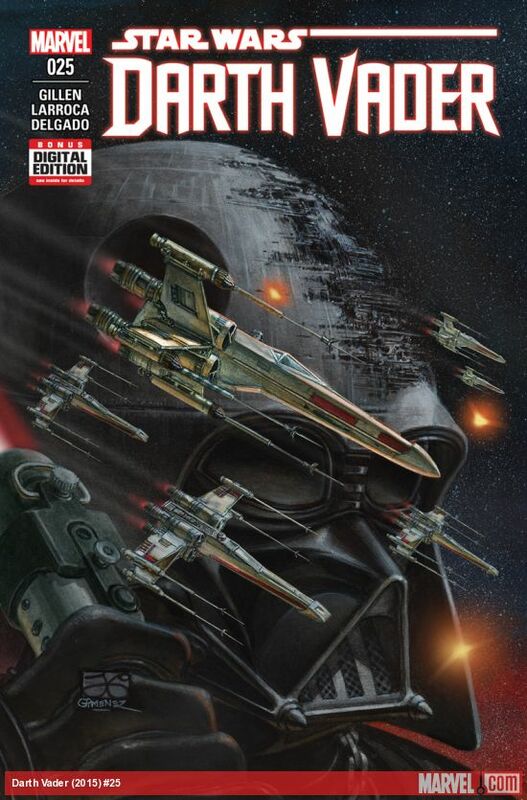 Darth Vader #25 - I have been waiting for this issue for quite some time. Again it must be reiterated that the comics do a better job than the movies in demonstrating the sheer terror in Darth Vader's power and this issue did not hold back. Vader exacts his revenge on Cylo in a most glorious fashion before returning to find out that Dr. Aphra has sold him out to Palpatine. She told him about the heist and how he slaughtered members of the Empire to cover his tracks. The way Kieron Gillen brought this series full circle fills me with confidence in terms of how Marvel is going to fill in the gaps with this series. Gillen had this planned from the beginning, and took us along on this journey to set Vader up in a way that I couldn't have imagined. This series is officially ready for the collector's edition hardcover. Teenage Mutant Ninja Turtles #63 - I still can't get used to Splinter being the head of the Foot, but I will say that I have more faith in the rat than his children do. The Turtles are not as sure as it looks like Splinter is leading the Foot into a massive battle. Couple that with the fact that Harold has been kidnapped by the Phantoms who are attempting to force him to develop technology for their cause. In some ways this feels like the competing factions in the Walking Dead. We have the Foot, the Phantoms, and the Purple Dragons. Things are going to get messy. Old Man Logan #12 - This book continues down its dark and gritty path to the point when a young boy with telekinetic powers appears to be holding Logan's fate in his hand. This boy, the leader of the Silent Order, has seen the future and knows his fate is to be killed at the hands of Wolverine. 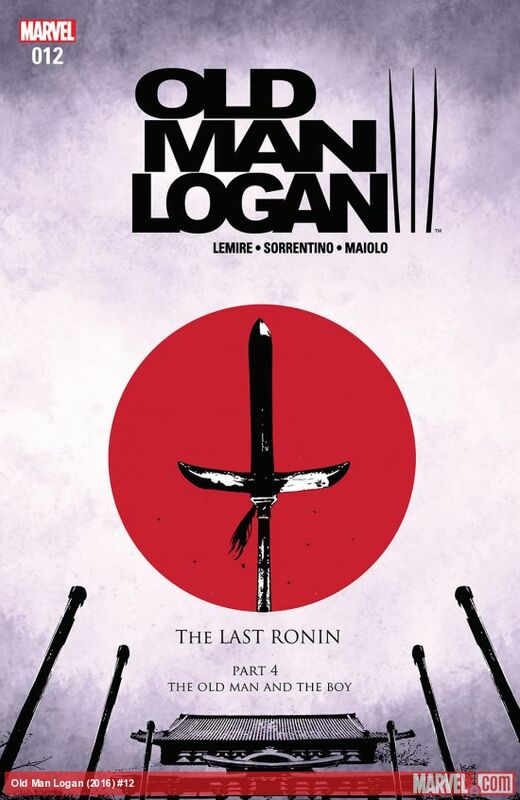 Not knowing that Wolverine has been busy changing the future with the trail of bodies he has left in his wake, Logan makes a desperate move and takes the boy hostage and he negotiates his release. Pretty pumped to read the conclusion of this arc in the next issue. Jeff Lemire has really done a nice job on this title. Daredevil #12 - I have really enjoyed the gritty undertones in Charles Soule's run with Daredevil. In the latest arc, Daredevil is trying to solve a mystery that involves a mass murderer who has been leaving "art" installations around town. The first mural, painted of human blood, led Murdock to a scene involving murdered Inhumans. The killer, who the media refers to as Vincent Van Gore (sorry), appears to have the upper hand. 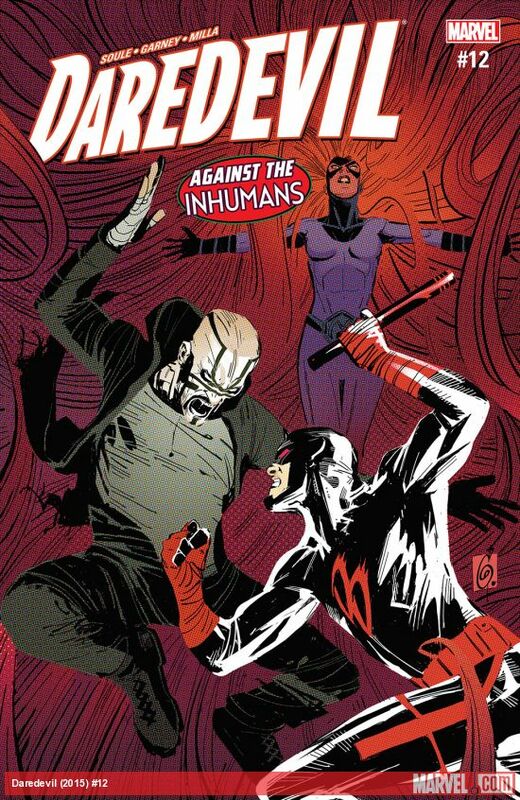 When you factor in the fact that the Inhumans are taking the lead on the case and are not willing to help, Daredevil has to work against two foes in this hunt. This arc seems tailor made for inclusion in the Netflix series or a movie.